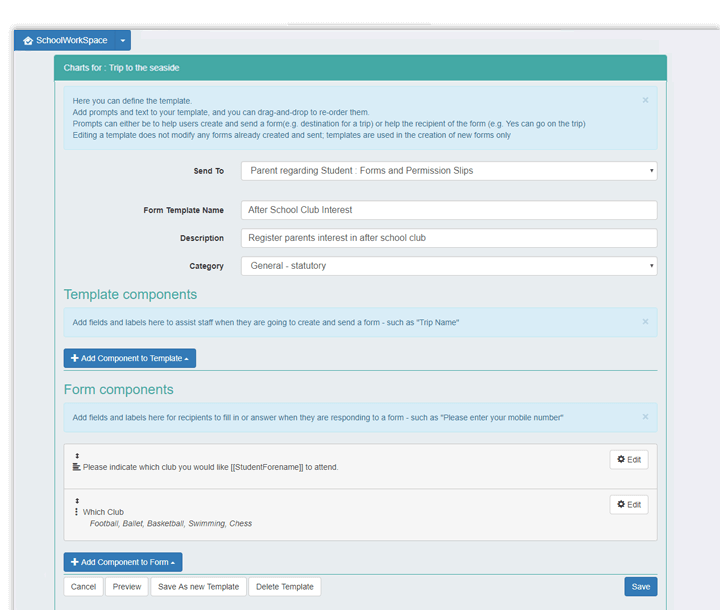 Never lose a school form again! 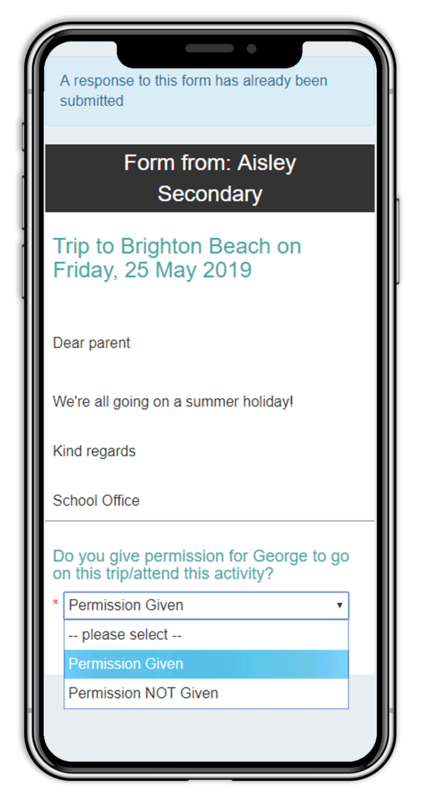 Messenger Forms is the easy way for your school to build and customise online forms to send to parents, students and staff in minutes. Make your parental communication completely paperless, while keeping track of exactly who has responded and who you still need to hear from. 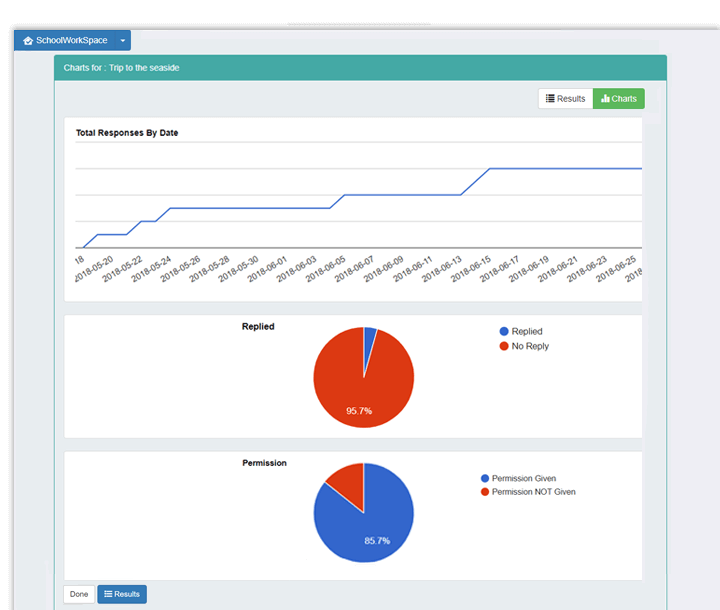 Create electronic forms, surveys and questionnaires quickly. 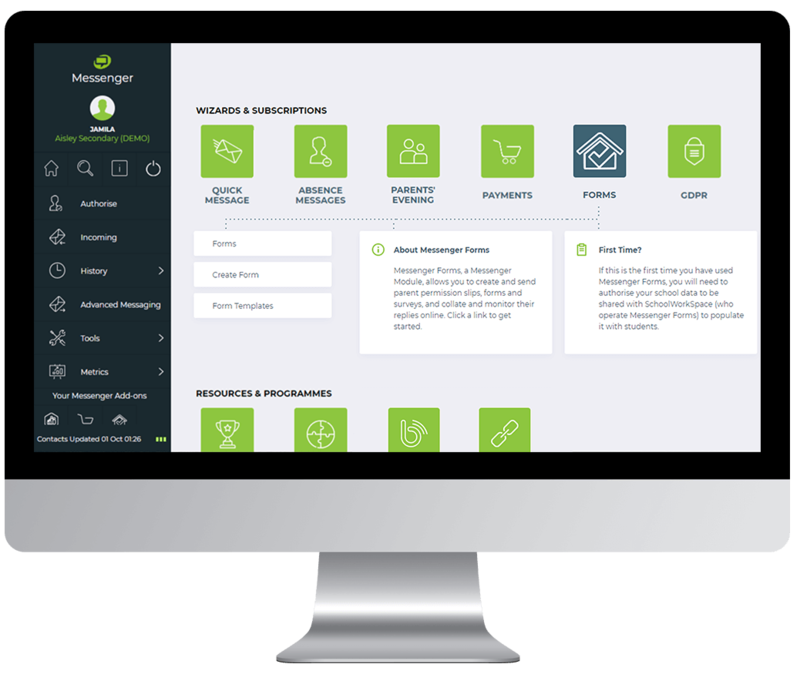 Then build flexible templates so your future forms are just a few clicks away. Send forms immediately or schedule them to be sent later. Recipients will recieve a simple link via their mobile or email - no sign-in necessary! View real-time results in a simple dashboard. Visual users can view graphs and charts to see trends and groupings at a glance. "We find parents very responsive to the 'click return' forms, especially for the younger years where we use them for all the extracurricular clubs. 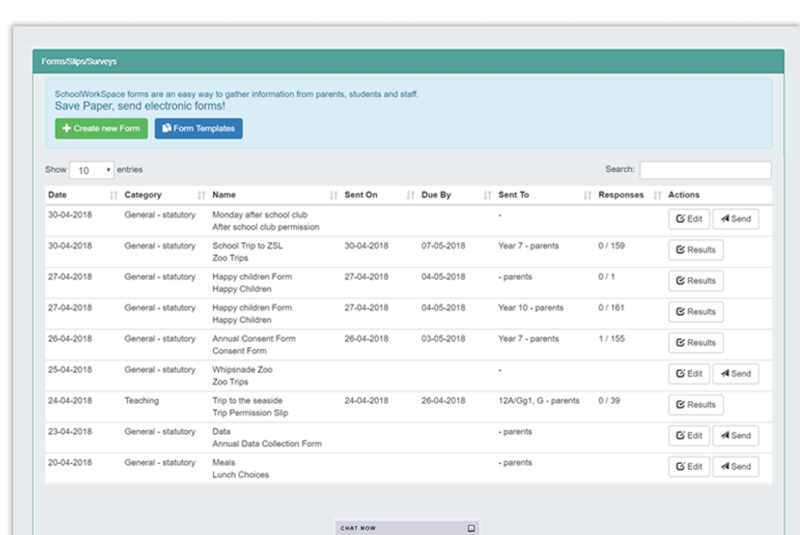 Parents can sign up easily without the need for multiple letters and paper going home with the pupils." Messenger Forms is one of several Messenger add-ons that links directly to your MIS to help improve school home communications. Contact us to switch on Messenger Forms and start enjoying faster replies for your school or academy.